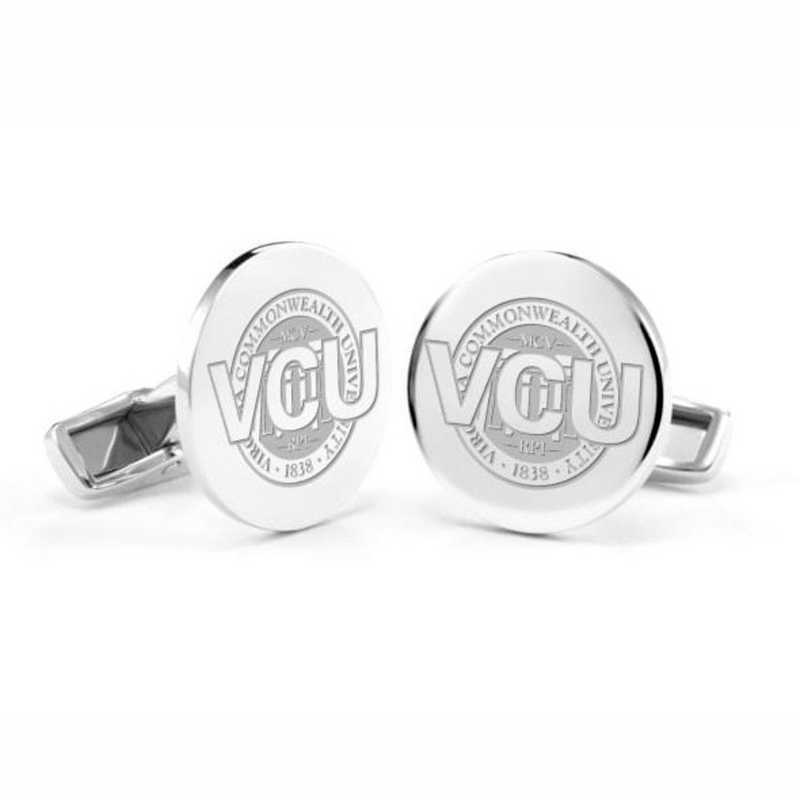 Virginia Commonwealth University Cufflinks in Sterling Silver by M.LaHart & Co.
Gear up your school spirit with the gift of awesome NCAA and college products. Our Virginia Commonwealth University sterling silver cufflinks are a classic and enduring gift, featuring the VCU Logo finely detailed., Disc measures .8" diameter, Finest grade .925 sterling silver, High-polish, rich luster finish, Attractive M.LaHart signature jewelry pouch and gift box.Officially licensed by Virginia Commonwealth University. Manufactured direct from a trusted supplier. You're reviewing:Virginia Commonwealth University Cufflinks in Sterling Silver by M.LaHart & Co.